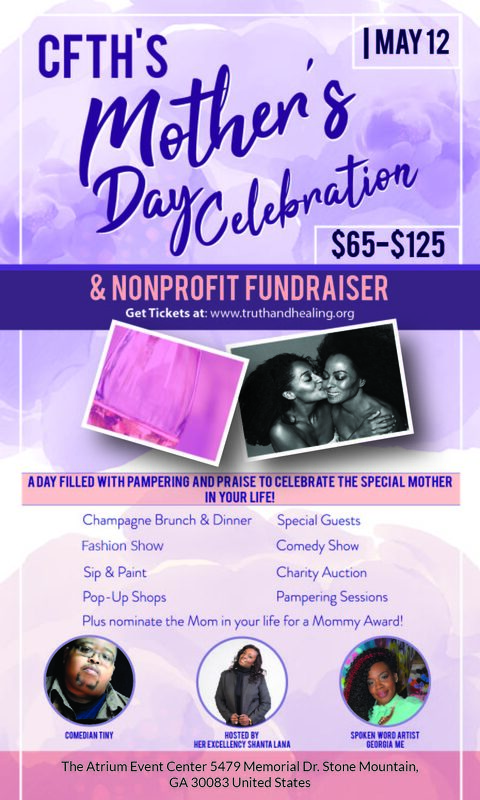 There is no better way for mothers to celebrate Mother’s Day than to be treated to a day and an event dedicated especially to them. Our guests will indulge in a full day of well-deserved treats including a gourmet brunch featuring some of Atlanta’s most sought-after chefs, bakers, and caterers. 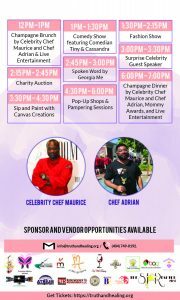 Along with praise from our speakers and live entertainers, followed by pampering from our various health, beauty, and fashion vendors and interactive activities such as a “Sip & Dip”, “Pop-Up Shop”, auction and more. 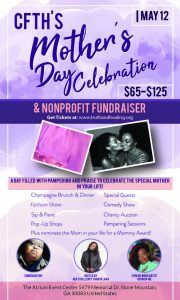 It’s a beautifully crafted and fun event meant to strengthen the Mother & Daughter bond and raise funds to go towards CFTH’s services and programs. Tickets are on sale now. Click here to purchase. ← CFTH Partners Up With MonkeyDough’s Nonprofit Fundraising Program!